Christopher Bruce CBE is a British choreographer and performer. 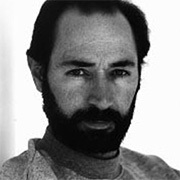 He was Artistic Director of the Rambert Dance Company until 2002. He choreographed the Andrew Lloyd Webber/Alan Ayckbourn Musical Jeeves at Her Majesty’s Theatre, London in 1975. In addition to performing and choreographing, he has created many works for Rambert and for Nederlands Dans Theater, Houston Ballet and Cullberg Ballet and has had a long-term association with the English National Ballet and the Houston Ballet. His works include Cruel Garden, Ghost Dances, Sergeant Early’s Dream, Swansong, Moonshine and Rooster. Bruce was appointed a CBE for a lifetime’s service to dance because he was one of Britain’s leading choreographers. He is a visiting honorary professor at the University of Exeter.